Mobile Suit Gundam SEED Destiny: "You"
Minitokyo »	Mobile Suit Gundam SEED Destiny Indy Art » Mobile Suit Gundam SEED Destiny: "You"
Now that's all for now from me :nya: til i have my photoshop back! Ah I love AthxCag! 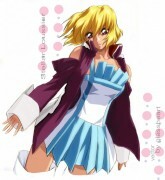 I see what you mean about Athrun in this picture too - he looks great! 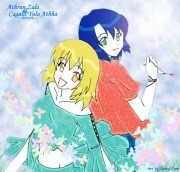 Cagalli looks good too, but she looks a bit different to me, though I can't really say what, I know big help - sorry. 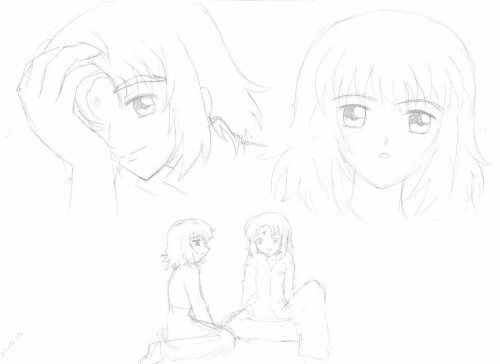 Hmmm maybe it is that she looks a bit soft... not as headstrong as I know Cagalli to be. Its a bit light....but I can still sense the ASUCAGA-ness in your doujin! XD Both of them looks really good! You've improved! Keep it up! NICE! *. * i love it!